Dead Women Walking is an interesting conceptual experiment. The film consists of nine short vignettes, each centering on a different death row inmate, each depicting a different step and procedure leading up to execution. It’s a fascinating and risky way to structure a film, but the results are uneven. Dead Women Walking is, and you’ll have to excuse the pun, a poor execution of a good idea. It’s easy to see what director Hagar Ben-Asher’s objective was in making Dead Women Walking and it’s equally easy to see how it might have been more successful. To say it isn’t a political film would be disingenuous, but it is first and foremost an emotional piece about the formalized processing of an incredibly personal journey. The film’s first vignette centers on the appeals process and its last is an execution, with the vignettes in between covering everything from dispersal of property, to religious council, to the last meal. By changing the prisoner for each short, the protagonist becomes the prison, the system, and death itself. It’s a powerful rhetorical device, but it opens the film up to myriad problems and its hard to find a pitfall the film doesn’t fall in at one time or another. With films comprised of several vignettes, there are bound to be inconsistencies, but Dead Women Walking doesn’t feel cohesive at all. The acting is incredibly uneven, with some of the women giving powerhouse performances while others feel like bad community theatre. The issue isn’t so much bad actors throwing away dynamite material, as it is inexperienced actors unable to elevate mediocre material. Ben-Asher’s script doesn’t give these women anywhere to hide, most of the segments distill down to two person conversations or monologues, and not all the lines are gems. There are powerful moments here – a scene of two inmates playing cards when one’s mother fails to show up for their final meeting, and a mother meeting her son for the first time days before her execution stand out as particularly gut-wrenching and powerful and real. 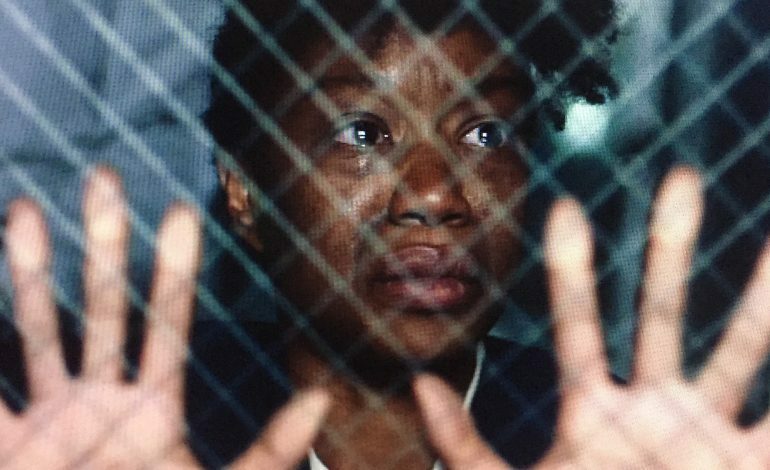 Then, one segment ends with an inmate whispering lines from Over The Rainbow to herself like a morose beat poet and it feels transparently manipulative and fake. The format of Dead Women Walking is really effective, which is it so frustrating that it starts to fall apart less than half way through the film. The original format is simple: a narrative short about a death row inmate ending in an intercard that lists the inmate’s name and crime, and repeat. It maintains this cadence long enough for us to expect it before it gets thrown out almost entirely. Some shorts end without an intercard and the entire formula is thrown out for one strange true crime documentary segment that features Texas school children talking about the merits of the death penalty. It’s a bizarre digression that the film never recovers from. Hagar Ben-Asher structured her film around a format. Then that format breaks, the film does too. It’s difficult to describe just how frustrating Dead Women Walking is. The film is meant to shine a light on a small, often overlooked sliver of society that deserves attention, and it has a formula that can be really effective. Dead Women Walking has some spectacular moments but they’re buried in an absolute mess of a film. There is humanity in this film, but there’s also naked politics and bloated sentimentality. It’s clear that Hagar Ben-Asher has something to say on the subject, but it’s impossible to tell whether it’s anything substantive. Dead Women Walking takes a swing at some big issues, but it misses more than it hits. The film is having its world debut at the 2018 Tribeca Film Festival.